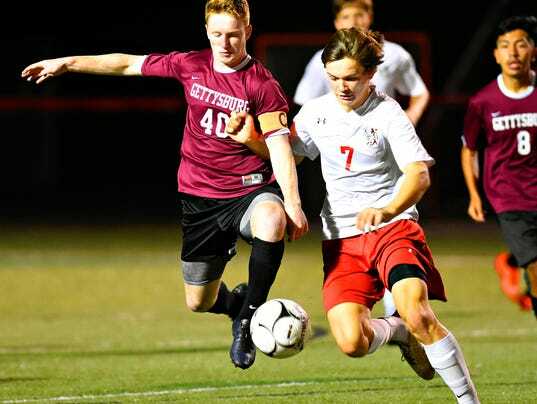 GLEN ROCK — Lately, there have been few boys’ soccer rivalries as good as the one between Gettysburg and Susquehannock in York-Adams Division II. The schools from different counties, but with the same mascot — Warriors — have put on more than a few epic contests over the past several seasons. None of that mattered too much when the D-II foes battled once more in Glen Rock Wednesday, Oct. 4. With a chance to clinch at least a share of the division title, the York County Warriors refused to let a golden opportunity slip away.